Senator Bernie Sanders’ run for the Democratic Party nomination for president has certainly energized thousands. It has also rekindled an old debate on the American left that revolves around the question: Should the left join, endorse, support, or work for campaigns in the Democratic Party? 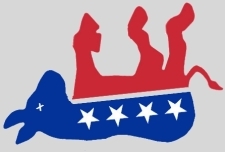 For more than a year, it had been obvious that the Democrats would face a debacle at the polls on November 2. And they did. In the largest congressional midterm landslide since 1938, the Republicans captured more than 60 seats, ending the four-year Democratic majority in the House of Representatives. We would like to send our condolences to the family, friends and comrades of Phyllis Jacobson. 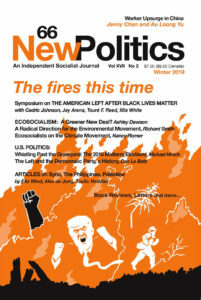 As a founding editor of New Politics, Phyllis played a crucial role in advocating the core principles of "socialism from below," including opposition to Stalinism and support for independent working-class political action. Her commitment to internationalism and solidarity was genuine and heartfelt. Without any hesitation, she opened the pages of New Politics to us when we organized campaigns to defend socialists in Greece and South Korea who faced government persecution.